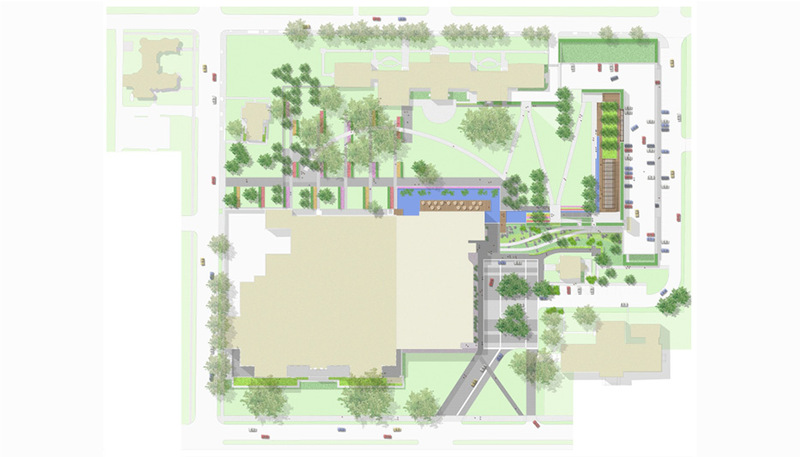 The Sculpture Garden and Entry Court were designed to unify the institution’s campus and complement a major building renovation and expansion by Rick Mather Architects. The design provides a variety of outdoor spaces for sculpture, social gatherings, and performances. The central component of the design is a sculpture garden that partially tilts up and over a new parking garage creating an artificial hill and promenade. As a result, the automobile is visually removed from the garden and sweeping views across garden are created. 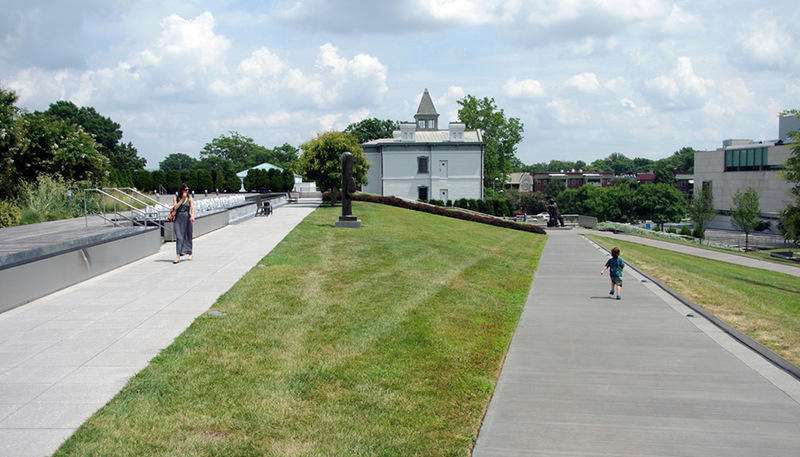 A new entry drive provides direct access to a large european style vehicular court from Monument Boulevard, one of Richmond’s major thoroughfares and historic streets. The entry drive, plaza and perimeter driveway are designed to accommodate the drop-off and parking needs of large school and tour buses while minimizing their visual and operational impact to the visitor experience. Scott Dismukes was the Project Manager while a Senior Landscape Architect at OLIN responsible for the development and production of the original concept design through final execution of construction documents.